Local Spitak community members spend time outside on a summer day. 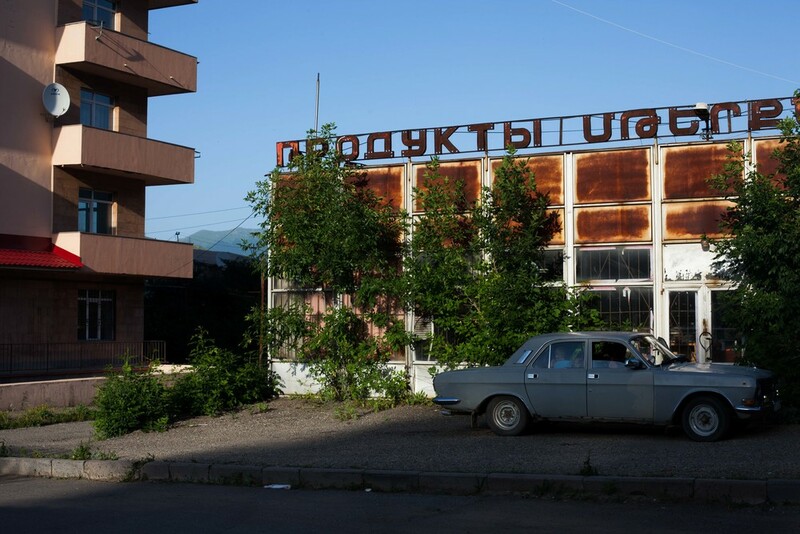 The town of Spitak is located in the Lori Province in the northern part of Armenia. It is home to roughly 15,000 residents. Armenia is a landlocked country bordered by Turkey to the west, Georgia to the north, Iran to the south, and Azerbaijan to the east. However, due to political issues, only the borders with Georgia and Iran are open. Horses graze along the side of the road in Spitak. Hamltik, a young boy, stops for a portrait in between playing with his sister and his neighbor. Spitak youth enjoy the festival of Vardavar, which comes 14 weeks after Easter and is influenced by the country's Pagan roots, is an opportunity for people of any age to douse friends and unsuspecting strangers with water without consequence. A traffic jam on a Spitak evening is caused by the herd of local cows being brought back home from the fields. Fresh-baked lavash, Armenia's most popular bread, cools down before being served at Vardges's Cave Restaurant in Noravank. The majority of the land in and around Spitak is undeveloped and is often times used by grazing cows. 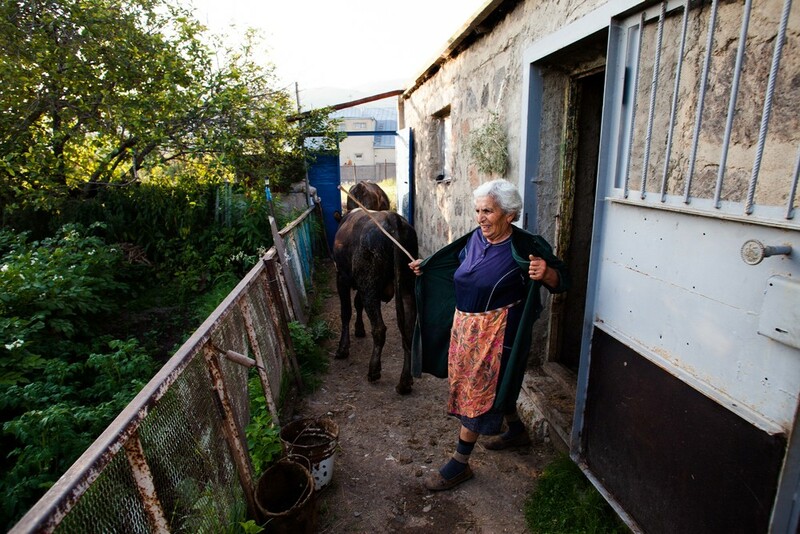 Local Spitak residents are up at sunrise to maintenance their land and to send their cows off with the shepherd. 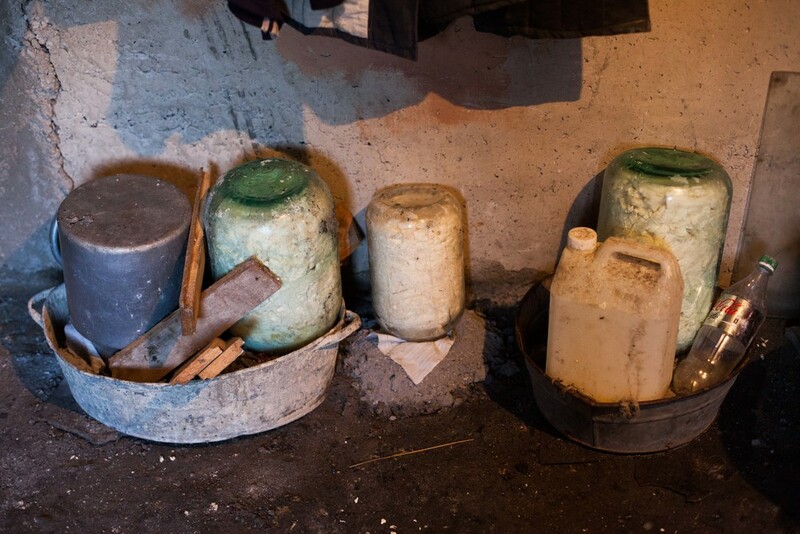 Homemade cheese ferments in a basement. In the small communities, much of the food is produced locally. On a daily basis, bakeries provide people with their fresh bread, a staple at every meal. Small cups of strong black coffee are served multiple times throughout the day and are normally drank while socializing with friends. An unfinished bridge runs through the landscape of Spitak, a reminder of their time under Soviet rule. Despite many people not speaking English, as Russian is the more common second language, there is still a fair amount of western influence present within the culture such as the Disney character seen painted on the side of this building. Every morning, Laura, now in her 70s, rises with the sun to tend to the family’s garden and animals. She takes the cows out to graze before they are picked up by the local shepherd and herded to the fields for the day. In the evening, she milks them and then uses their milk to make cheese, butter, and other dairy products for her family. 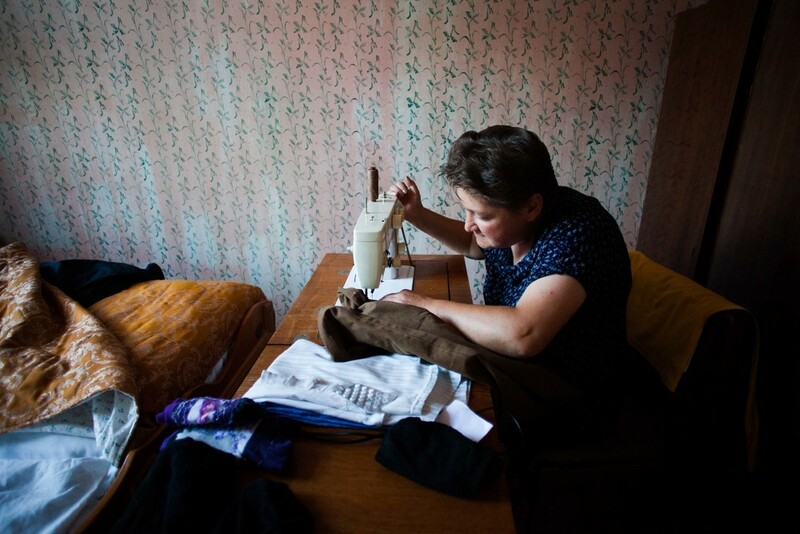 Manush, a Spitak resident, spends the morning mending clothes. Her husband lives and works in Russia in order to send money back home to Armenia. This is a common situation for many families. 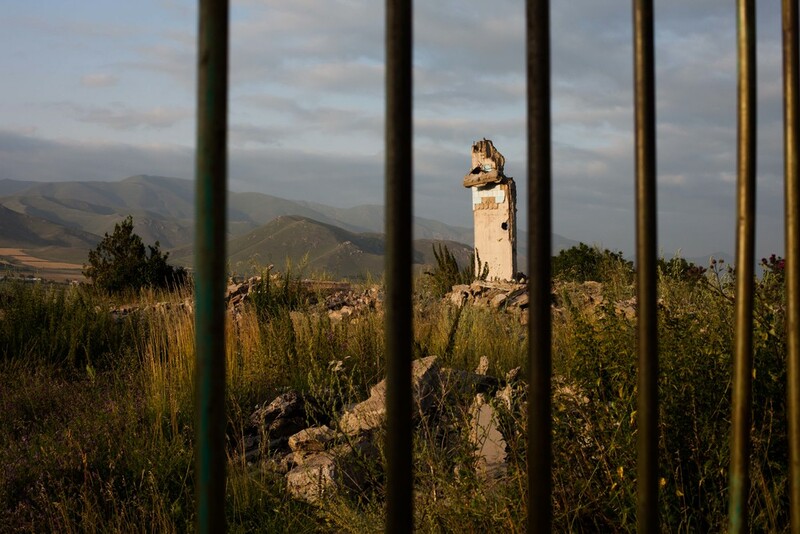 In 1988, a 6.8 magnitude earthquake completely destroyed the Spitak region, which at the time was a part of the Soviet Union. Over 25 years later, remnants of the devastation are still visible. 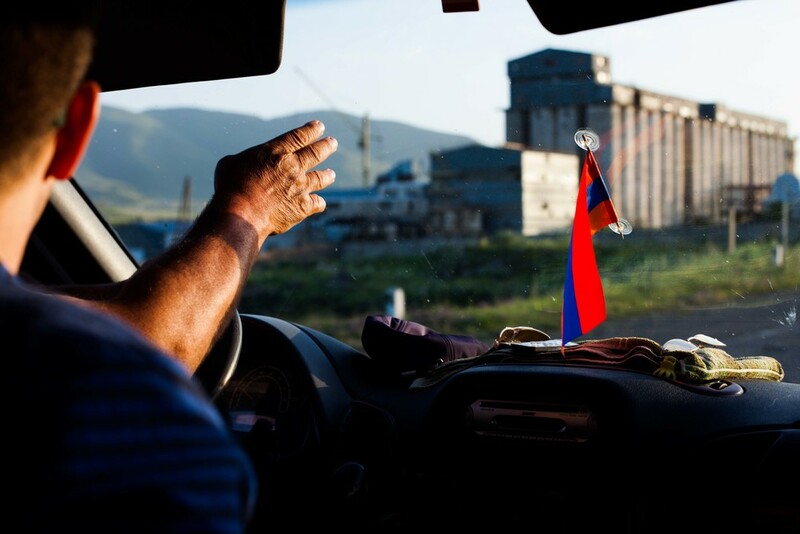 Driving through a local Spitak community. Karinka, a young Armenian, poses for a portrait nearby her home in Spitak. She is praised by her mother for her lady-like qualities. Food is very important in the Armenian culture and being a welcoming host is the norm. With guests in town, this dining room table quickly becomes full of spirits and homemade food. Street scene in Vanadzor, Armenia, the capital of the Lori Province. A view of Noratus, a historical village in the Gegharkunik province of Armenia. Children at the local YMCA in Spitak sit in a row eager to meet the American students who have come to visit. A look out point along the silk road is speckled with tourists who have stopped to appreciate the beautiful views. Street scene in Yerevan, Armenia's capital city. 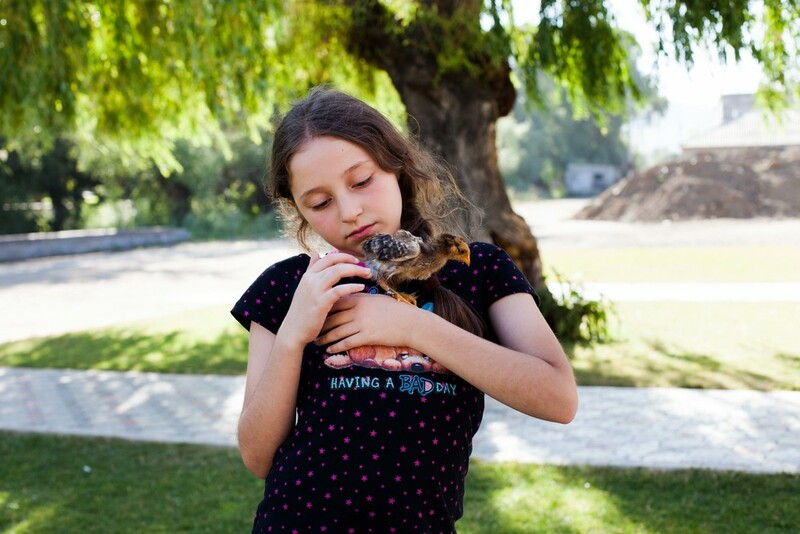 A young girl from California spends her summers in Spitak with her grandmother. Here she gets to learn the language that her parents speak, engage with the students at the YMCA, and help raise baby chickens and peacocks. 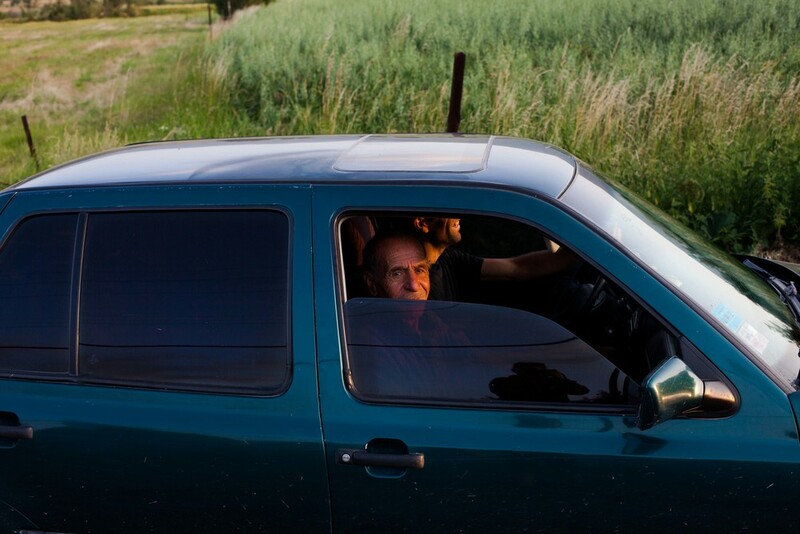 Spitak residents soak in the evening sun. Spitak residents cool off from the summer heat in Lake Sevan. It is one of the largest high-altitude, freshwater lakes in the world and a popular tourist destination. The cows from a neighborhood in Spitak return home just before sunset. On a small slice of land, landlocked in between four large and powerful countries, lives a people who understand pain, exhibit hope and have the strength to persevere. And in the north of that small country named Armenia, is Spitak, a town that is hard to find in any guide book and a name that is not heard on the news. The community of just over 15,000 people carry the burden of a genocide, the recent disaster of an earthquake and the visible aftermath of the Soviet Union. 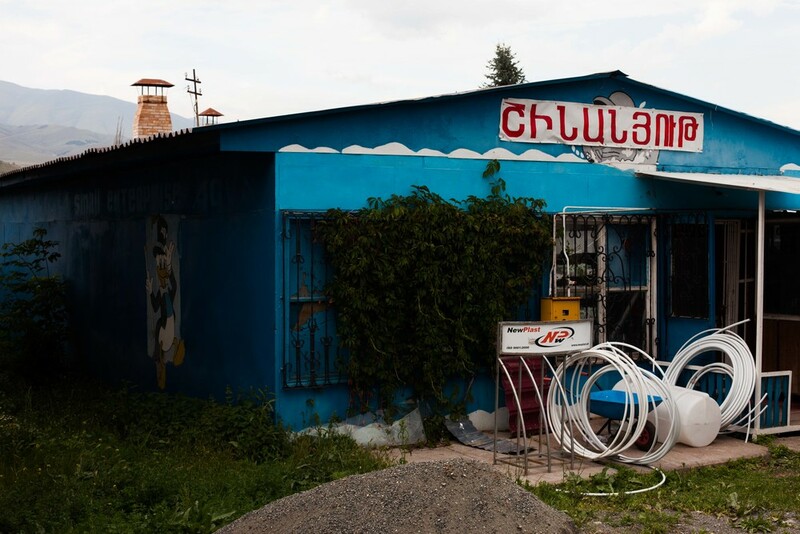 The people of Spitak don’t have much, but they share what they have. They insist that when you sit at their table you must eat and when they drink, the toasts are dedicated to you, your parents and the memory of your grandparents. They teach you their dances and sing you their songs. If you are lucky, you may even have a chance to hear a gentle old soul play the duduk, Armenia’s national instrument. They are proud of their culture, as they should be. The hurt of their history is seen in their eyes and can be heard in their stories. They welcome you in like family and are an important reminder that strangers can become the closest of friends. I spent the Summer in Spitak in 2014 while staffing a Travel Service Program through the YMCA's Becket-Chimney Corners summer camp. This program fosters leadership development training and cultural immersion with an emphasis on service work while offering American teens an opportunity to integrate themselves into a foreign culture and a new environment. 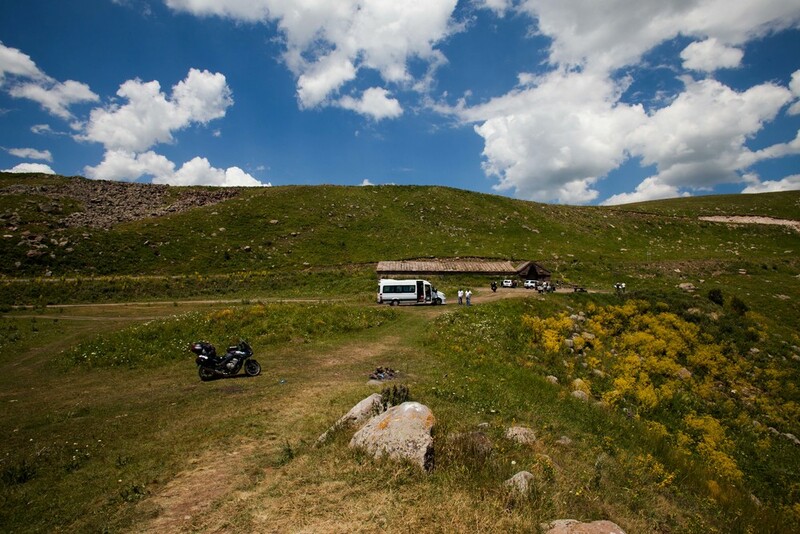 These photographs are from our month learning about and traveling around Armenia. I thank the friends I made and the families I hope to return to one day for their hospitality, their insight and their acceptance.